Applying to Graduate and Commencement are independent activities. The Office of the Registrar processes your application to graduate and certifies completion of degree requirements. University Ceremonies and Events organizes the annual commencement ceremony in May. Applying to graduate is when a student formally informs the Office of the Registrar of the term expected to complete all degree requirements. Coursework must be complete and graded by the graduation date for which applied. Incomplete grades in the final semester will prevent graduation. Screen: 'Curriculum Term Selection' select the term closest to the current term e.g. if filing in April 2018 then select Spring 2018. Click submit. Screen: 'Curriculum Selection' displays programs eligible to graduate from based on term selected in prior screen. If program is not displayed, return to previous screen and verify selected term is correct. Select the degree to file application for and click continue. Screen: 'Graduation Date Selection' select the term/date expected to graduate. The next several screens will display name as it will appear on diploma, and mailing address. After 'Applying to Graduate' in Webcat you cannot modify your intended date of graduation in Webcat. Contact the Graduation Office if you need to change your applicate date. Approximately four weeks after the date of graduation, students may check their Academic Transcript on Webcat. Look at "Degrees Awarded", when the “Degree Date” displays the date of graduation, this confirms graduation. If no date of graduation is displayed, the Office of the Registrar will contact the student to resolve any issues. Commencement refers to the formal ceremony, an annual event held in May. Note: Walking in the Commencement ceremony does not mean you have officially graduated. Degree Conferral refers to the academic action processed by the Office of the Registrar after successful completion of all degree requirements. Must be within 8 credits of completing degree requirements. Not within 8 credits? You may petition your college dean for permission to participate. You must have applied to graduate for May, or the following September or December. The Commencement Office will invite the previous September and December graduates to attend. Students must register with the University Ceremonies and Events after applying to graduate. All details and information is available from University Ceremonies and Events. Diplomas are mailed 4-6 weeks after the graduation certification process. Diploma covers are given at Commencement. Students must have completed a minimum of 32 graded UNH credits (not including CR or P grades). Bachelor degree diplomas, includes, if applicable, completion of University Honors, Honors in Major, and/or Latin Honors. Students must have completed a minimum of 64 graded UNH credits (not including CR or P grades). Do not include honors designations. Will appear exactly as in the student information system. For changes, complete a Name Change form. If special characters are not reflected, contact unh.diploma@unh.edu for inclusion. Diplomas are mailed to the address provided when applying to graduate. Do not provide a campus mailing address. Verify mailing address, in WEBCAT and select Personal Information. May delay receiving diploma. Contact unh.diploma@unh.edu for more information. Students with Financial Aid Exit Counseling holds or with unpaid account balances will not have a diploma ordered until the holds have been cleared. To view holds, log in to WEBCAT (Select: Registration>View Holds). 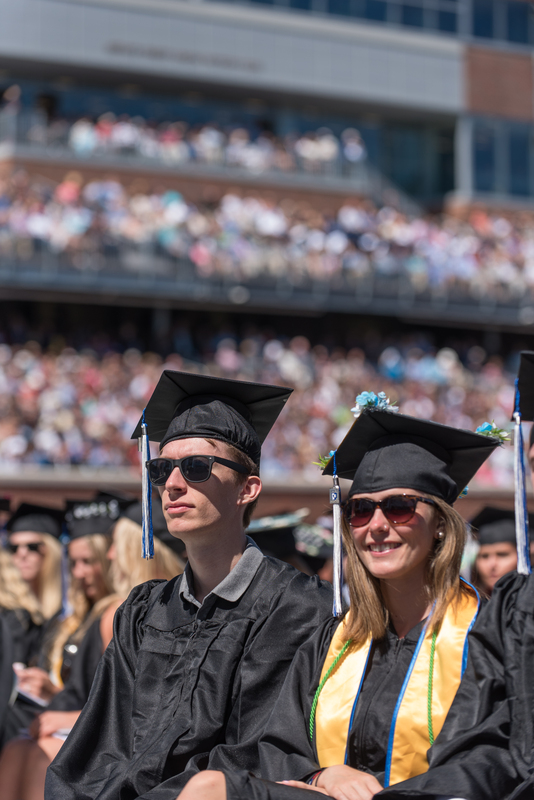 Once holds on accounts are satisfied, notify the Graduation Office at unh.diploma@unh.edu and a diploma will be ordered. Diplomas are ordered twice monthly.